Inspiration really strikes! 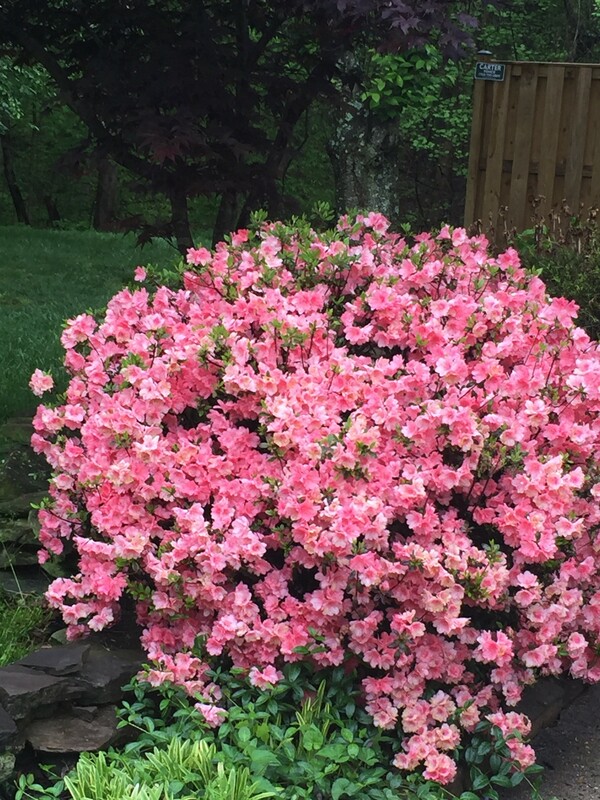 Azalea Bush is such good gift for Mother’s Day. Colorful long lasting flowers on the bush makes the all mother happy.I was planning to share my own pictures with my Mother and my Mother in Law , then I would like to share with my curious followers too. 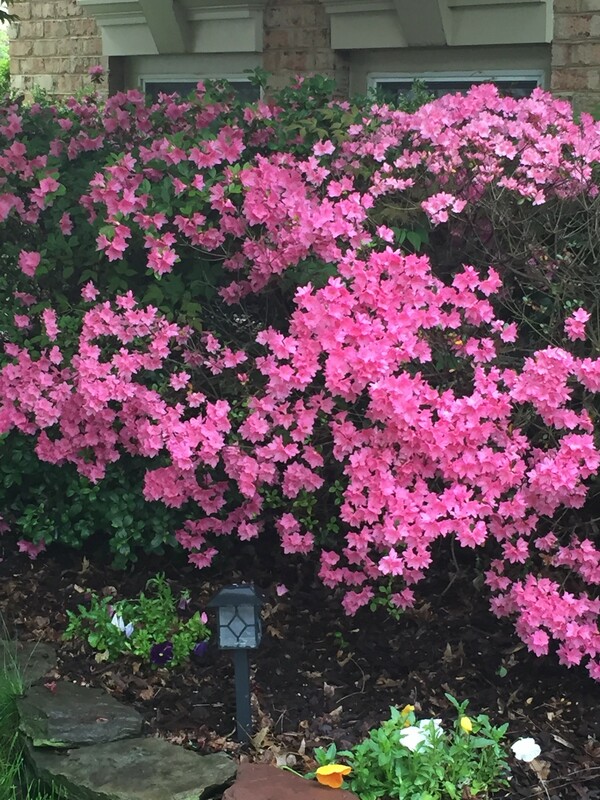 Yes , this is my neighborhood and azalea bushes are blooming , and showing their beauty even after rain. They make my mood up like sunshine effect in those rainy day. I am charging my inner battery and hope I spread the same emotional support to you . Many good varieties may embellish your garden . 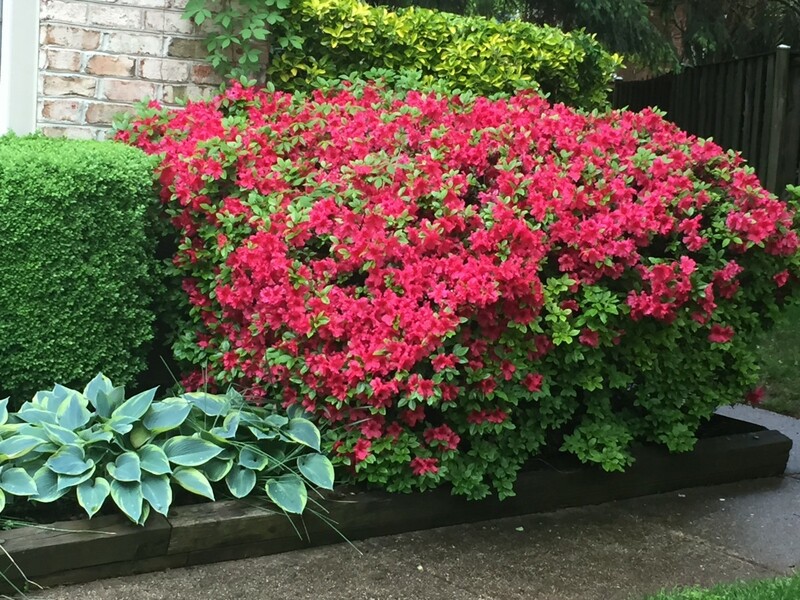 Azalea Bush can be an individual piece in your garden or can be combine with any green plants since they are very attractive in colors. 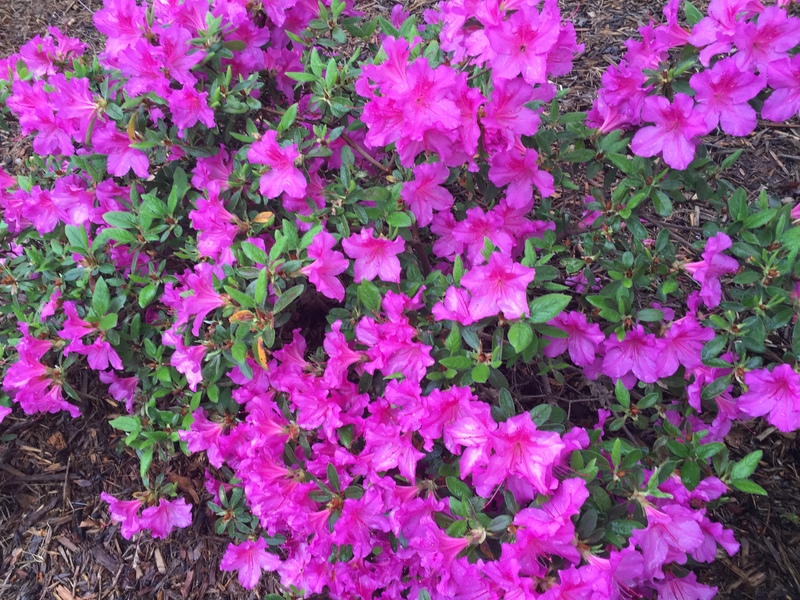 Most known colors of azalea are white, pink, purple, red and orange. Azalea Bush Colors are defined very well by Encore Azalea. For the local follower of mine can also check the Betty’s Azalea Ranch. Such a good meditation to be in the Azalea Garden. All the pictures are taken with my mobile phone. 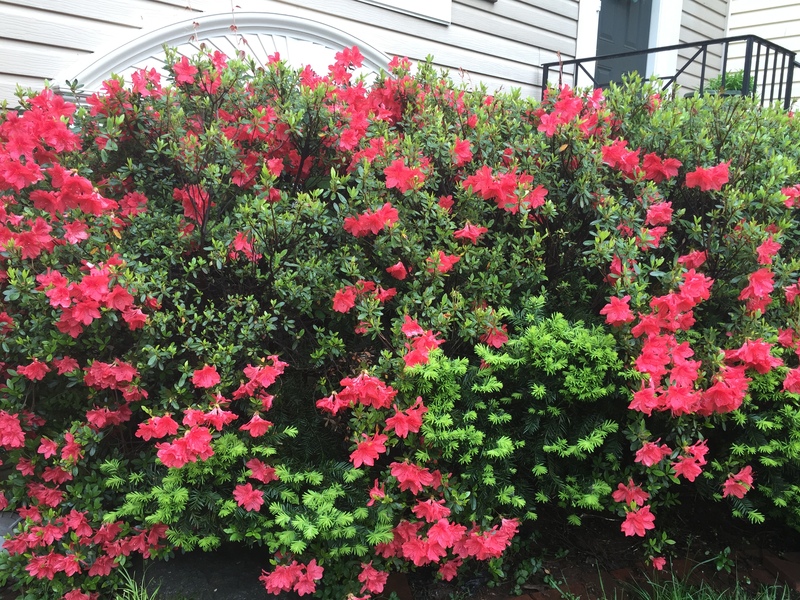 I wish I would like to have a professional camera to show more details of azalea bush colors in pictures. Picture Credit: Debra Dee Illeez. 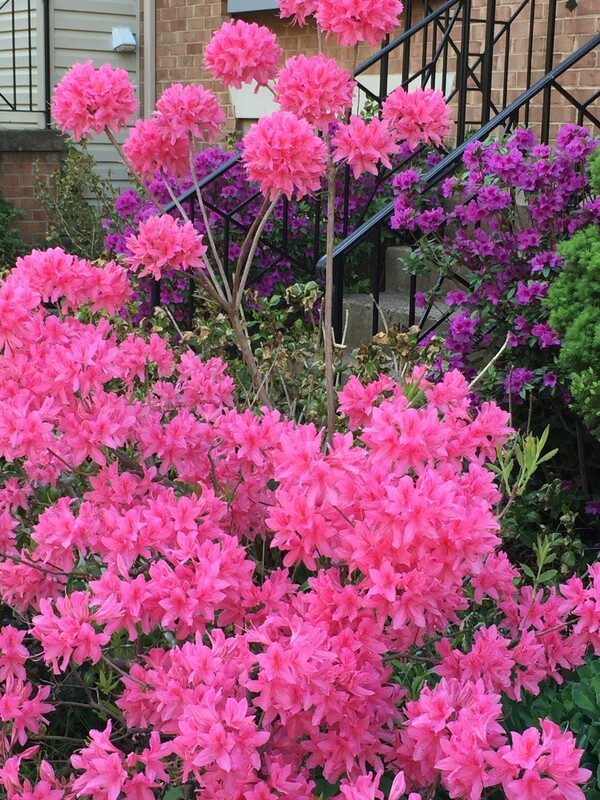 Pink Azalea Bush would be good addition for your landscaping ideas. Picture Credit: Debra Dee Illeez. Pink Azalea has been trimmed. Purple Azalea is in natural look. 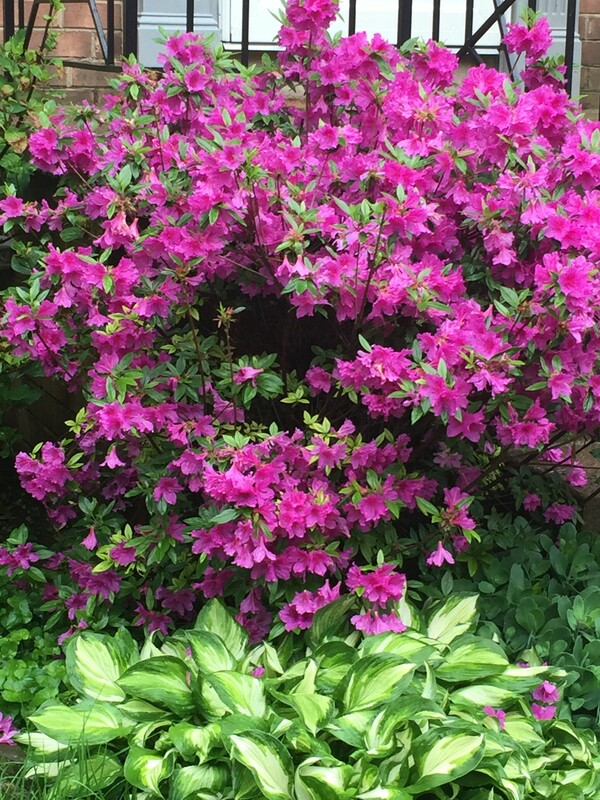 Decorative trimmed azalea bush would be very elegant piece in your garden. Picture Credit: Debra Dee Illeez. White and lonely, on the grass. Isn’t that beautiful even after a heavy rain ? 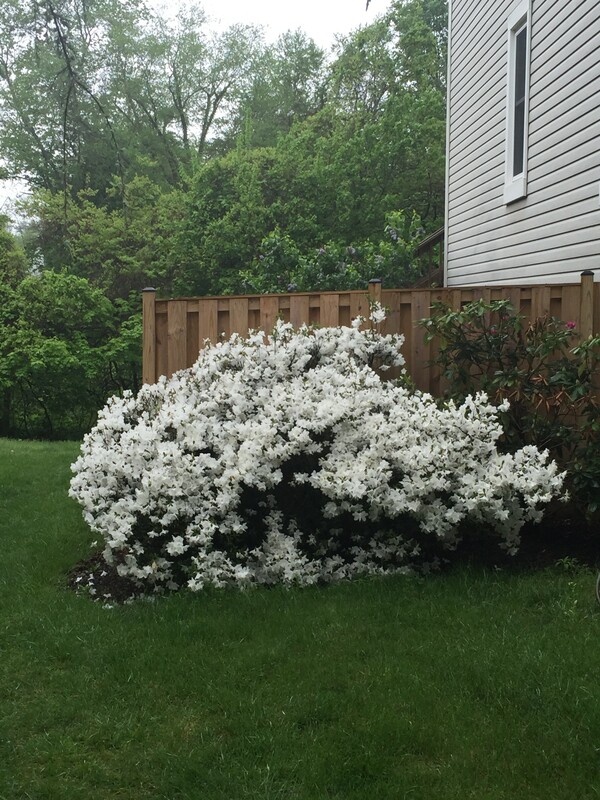 White azalea seems like a huge snow pale on the green grass. Picture Credit: Debra Dee Illeez. 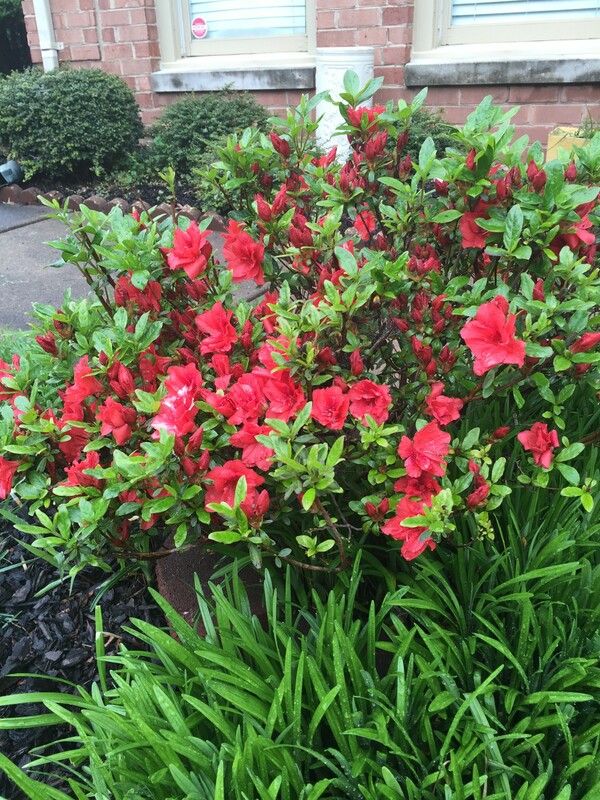 Coral red azalea with assorted green decorative plants. Very good flower planter ideas for patio has one irresistible new addition. Picture Credit: Debra Dee Illeez. 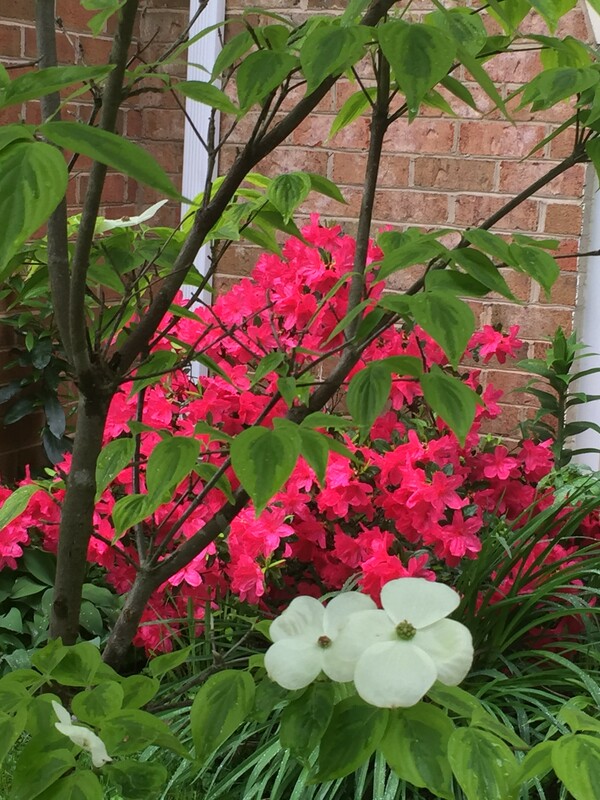 Landscaping ideas would not be better without magenta pink azaleas. Picture Credit: Debra Dee Illeez. Blooming dog wood tree and fuchsia azalea. Assorted flower plants are around , stay tune I will learn all the names. Picture Credit: Debra Dee Illeez. Such a happy color on the wooden chips. Picture Credit: Debra Dee Illeez. Very good combination with green needle pine bush. Happy as much as can be. 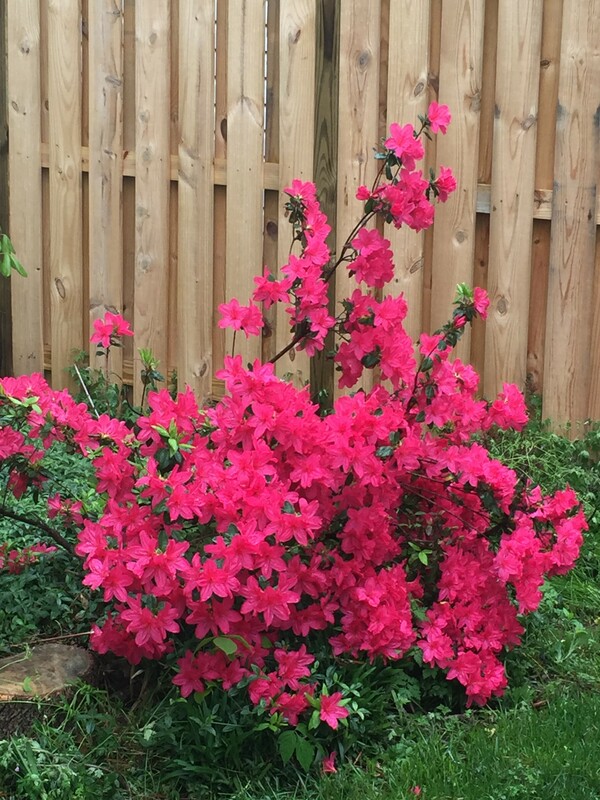 Picture Credit: Debra Dee Illeez, In front of the fence sits the dark pink azalea. Picture Credit: Debra Dee Illeez. I need to improve my gardening and landscaping skills. The combination seems to me smiling kids on the green. Purple azalea bush rocks. Picture Credit: Debra Dee Illeez. 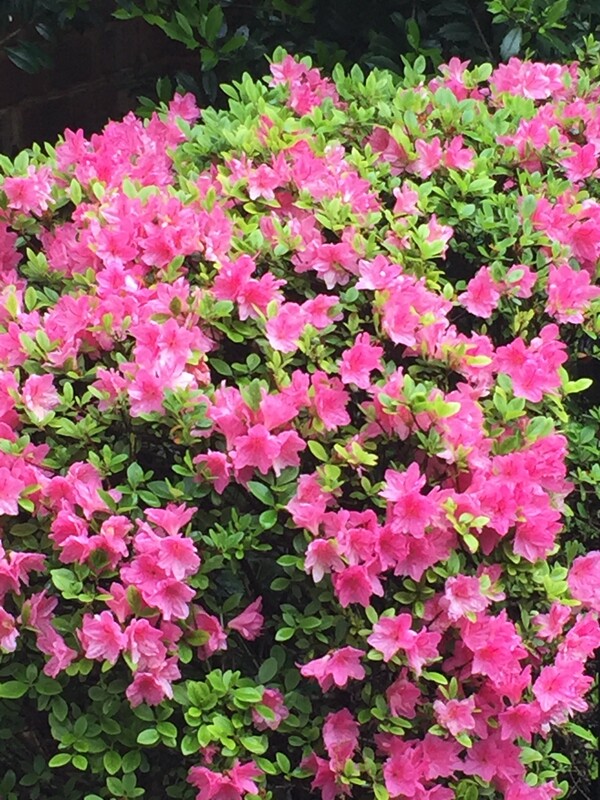 Definitely pink azalea changes your mood . Wishing a very happy and meaningful Mother’s Day to my all dedicated followers.